Reservations and payment are needed by Thursday, June 7, 5:00 pm EST. No onsite reservations will be taken. 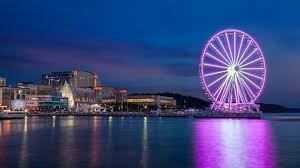 National Harbor is not so much a destination as it is an experience - and tonight you will explore a never-ending variety of vibrant places with your AAPL colleagues. Immerse yourself in the sights, scents, and sounds of National Harbor's unique waterfront wonderland. AAPL has arranged to visit three trendy venues including one drink coupon for each stop. We hope you will join us for this adventure! Perfect for kicking off our adventure, the Flight Deck is an outdoor lounge which is your launching pad for the iconic Capital Wheel. Take happy hour and appetizers to new heights when you ride the wheel 180 feet above the Potomac River waterfront. You will marvel at the incomparable views. Sights visible include the National Cathedral, Washington Monument, Masonic Temple, City of Alexandria, Prince George's County, and the lush parklands throughout the DC-Maryland-Virginia region. Enjoy a glass of wine and a sampling of their most popular appetizers from this local winery as you wind down from your Capital Wheel adventure! 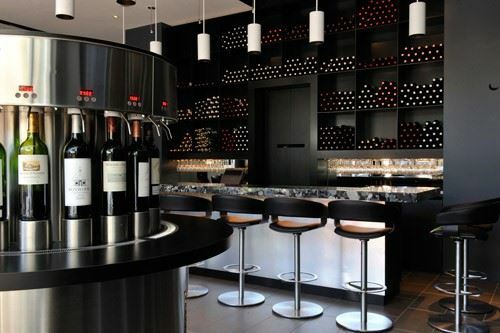 Offering casual fare that compliments their extensive list of international, domestic, and local wine choices. Ending tonight's adventure right where it started, we will take the elevators at the Gaylord National up to the 18th floor for an escape unlike any other. With the best sips, sounds, and scenes in the harbor, this modern lounge is the greatest place to enjoy a late night drink as our evening winds down. Relax on luxurious couches as you listen to the top music mixes or step out for some fresh air on the wraparound terrace and enjoy the skylines of DC and Alexandria. 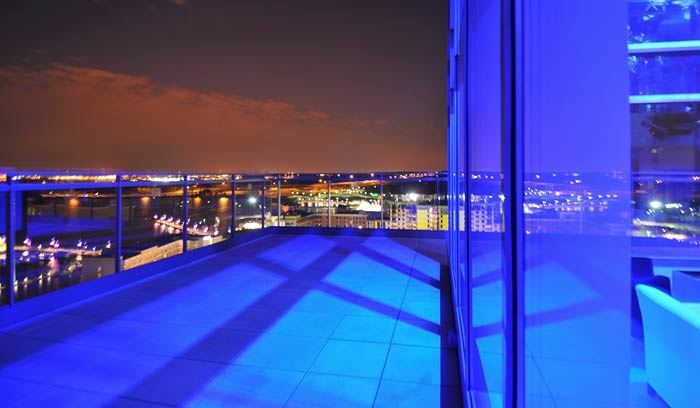 With floor to ceiling windows, you will get lost in the beauty of National Harbor.